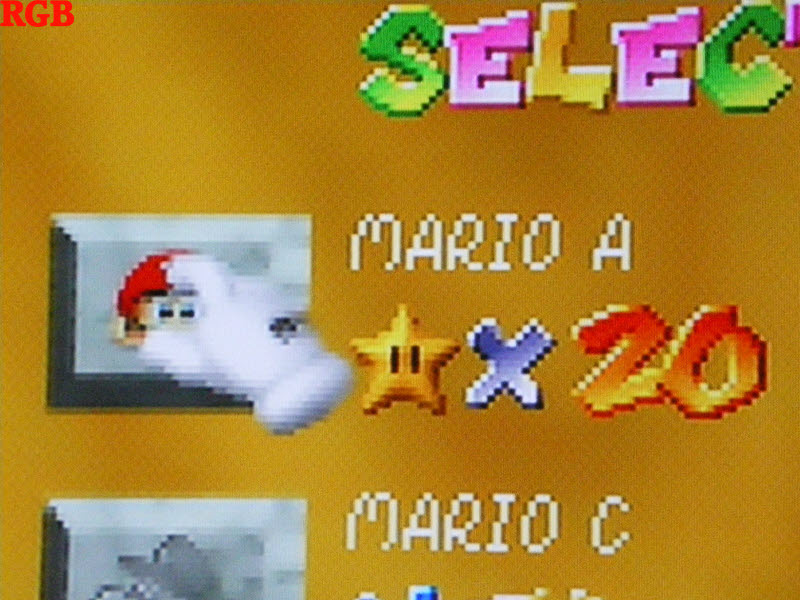 The N64 is an interesting system. It was the first to include a control pad with an analogue stick as standard, and the first to push some of Nintendo’s top games and characters into the new world of 3D. In a time of CD-ROM Nintendo showed than a cartridge system could still work. The machine had a few failings though; The games cost more than the main rivals (Sega Saturn & Sony Playstation) CD’s, also the data storage capacity was far lower than a CD. Nintendo also added a security chip in each game adding to the production cost. 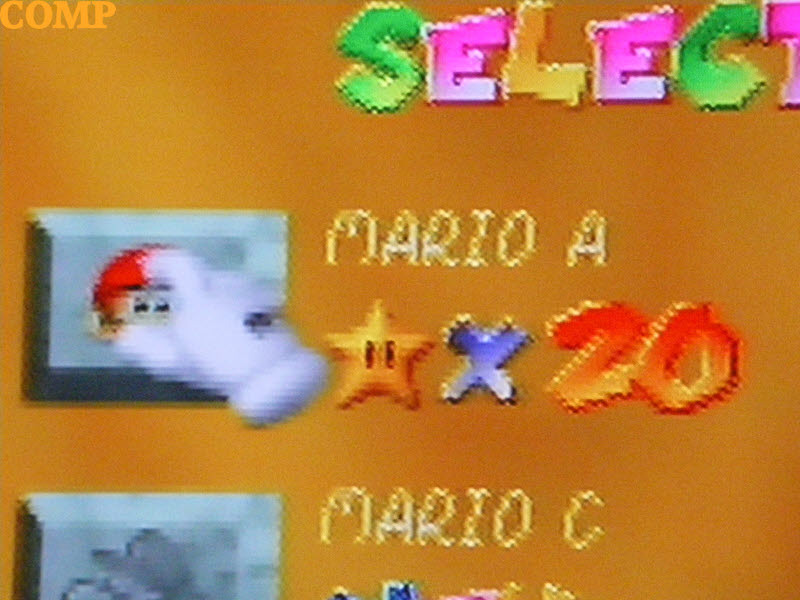 Another little annoyance to game fanatics is Nintendo’s choice of video output modes. 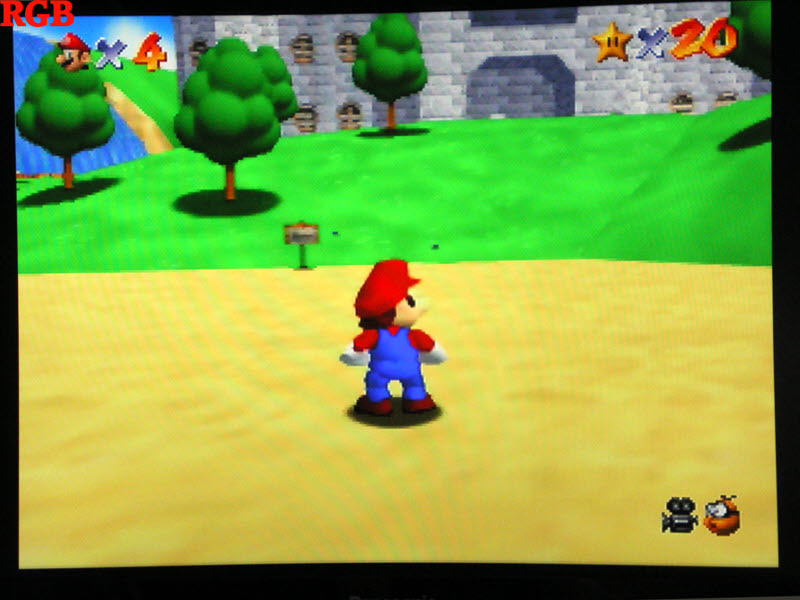 All N64′s world wide can output RF (with modulator), Composite and S-Video, and that’s it, see something missing? That’s right, No RGB! The most excepted reason for this is that when designing the N64 Nintendo surveyed SNES (Super Famicom) owners on the TV connection type they used, and RGB scart was the least used. Scart is a common connector in the UK and other parts of Europe, but less in Japan, and not used at all in the US. 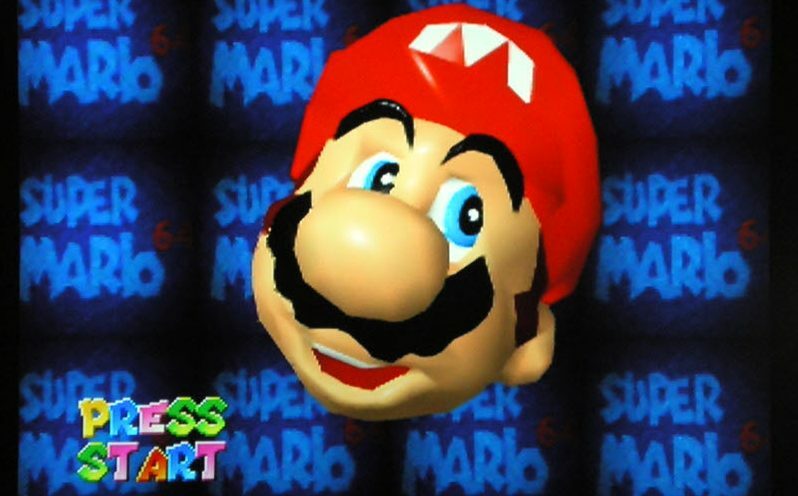 So Nintendo didn’t include support the RGB standard on its new console, and that would be the end of the story except some N64 units can be made to use RGB by means of modding. 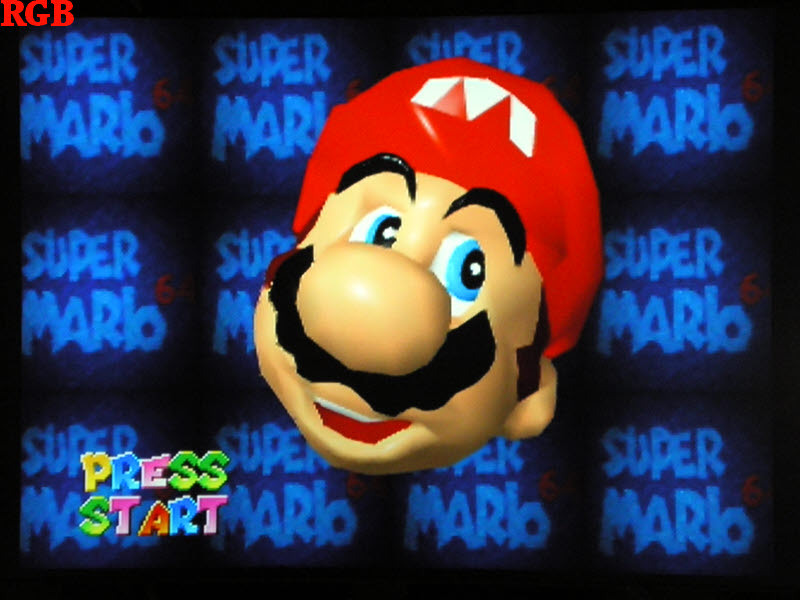 If you have an early NTSC N64 from the US, or Japan then you can upgrade the image quality to full RGB. What interested me in this method was the small amount of components needed. The only hard thing was tracking down the THS7314 chip needed. After emailing the author of the above site I was directed to www.bitsbox.co.uk who got a few in for me. The mod was very simple to put together but very fiddly. 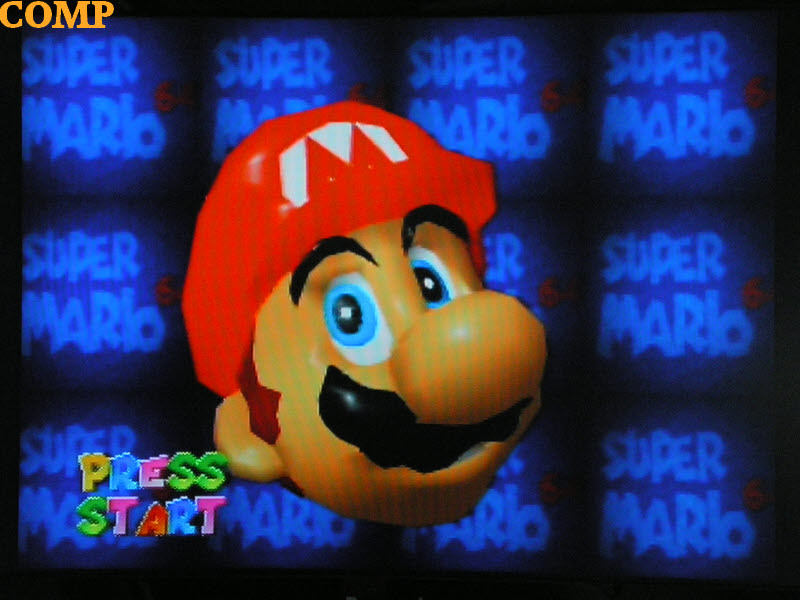 I took a few screen shots with my digital camera using my good old Sony Trinitron 20″ CRT TV, but photographing CRT is an nightmare so I had to connect the N64 to the LCD TV. 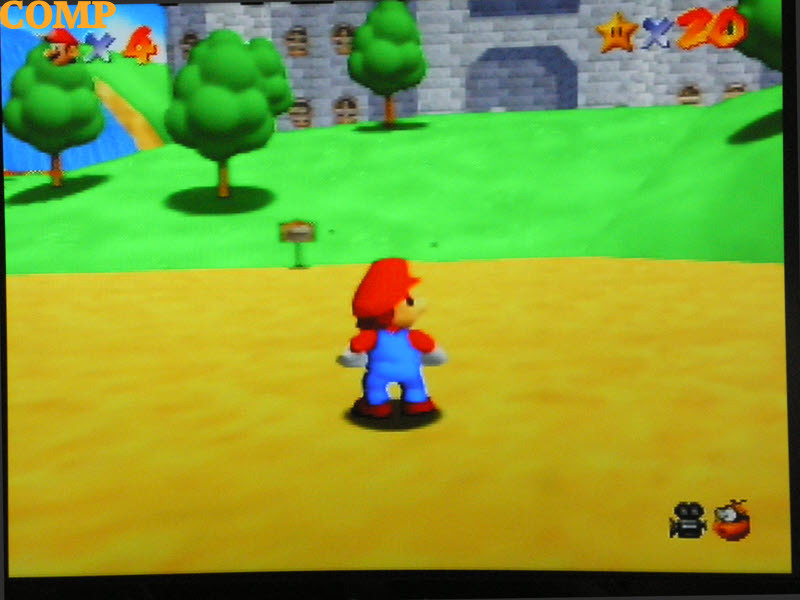 Big modern LCD TV’s are not suited to playing old games systems in my opinion but its easy to take a photo of it. Nothing staggering here, but the edged are much stronger and with better defined colours. This is where you can start to see a big difference. This is the best example of the benefits of RGB. Just look how much sharper the text is compared to composite. The game is much less foggy now! The end result was great, and well worth the time trying to solder a tiny smd chip to a few other components. Can’t wait for my Everdrive64 to arrive now. 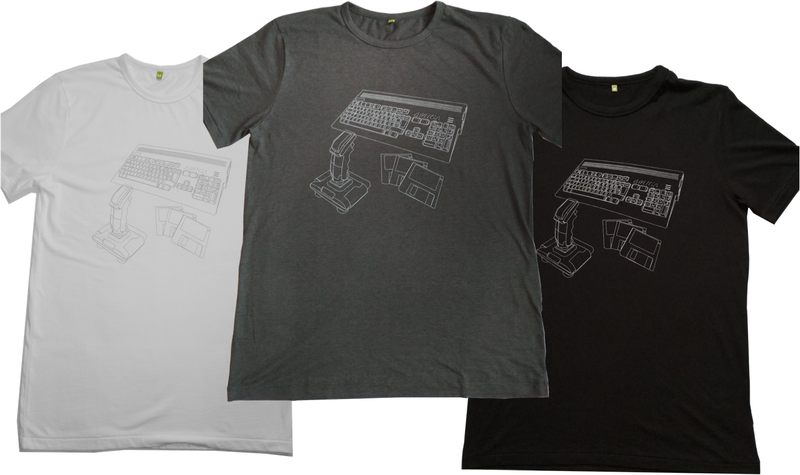 Thanks for visiting – Neil 8bitplus 2011. Not sure I follow that…. but its not stupid to compare Comp to RGB. the whole point is to compare the quality difference after the mod. 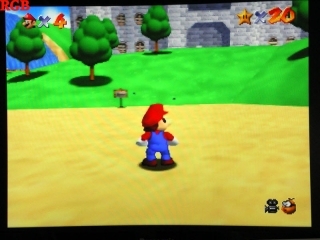 The image quality with the RGB is fantastic, the biggest improvements can be seen when using the N64 on a large LCD TV. Everything looks better. Even when using a CRT.